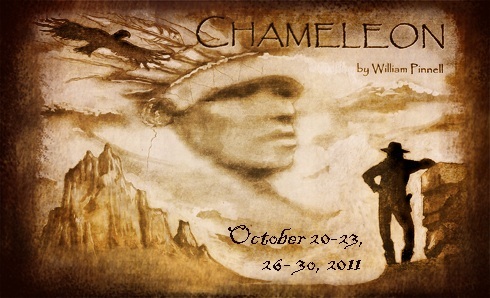 Opening Thursday evening, the University of Windsor Players present their second production of the season Chameleon. This world-premiere has been written, directed, and designed by the University’s own William Pinnell. The handful of residents in Indian Cliffs, New Mexico, have caught wind of a brutal murderer on the loose. People breeze by on the highway, but few stop at Fletcher’s Emporium, except on this especially stormy night, when a tense standoff in search of the camouflaged killer ensues. The wind isn’t the only thing that changes direction in this thrilling mystery as the true identity of The Chameleon is eventually revealed. The play runs Thursday to Saturday at 8:00 pm and Sunday at 2:00 pm the next two weeks, at the Essex Hall Theatre on the main campus. You can purchase tickets from the Players website.